This weekend the 60 Freeway in Industry, California will be closed during a 55-hour period. The closures will begin Friday night and will likely cause traffic in the San Gabriel Valley. The closures have been deemed “Summer Slam” by Caltrans. Lanes in both directions will be closed between the Nogales Street and Fullerton Road exits. This is due to necessary pavement rehabilitation work. On Friday starting at 10:00 p.m., three westbound lanes will be closed until 5:00 a.m. Monday. The entire westbound side of the 60 Freeway will be shut down between 1:00 a.m. and 5:00 a.m. Saturday and Monday mornings. 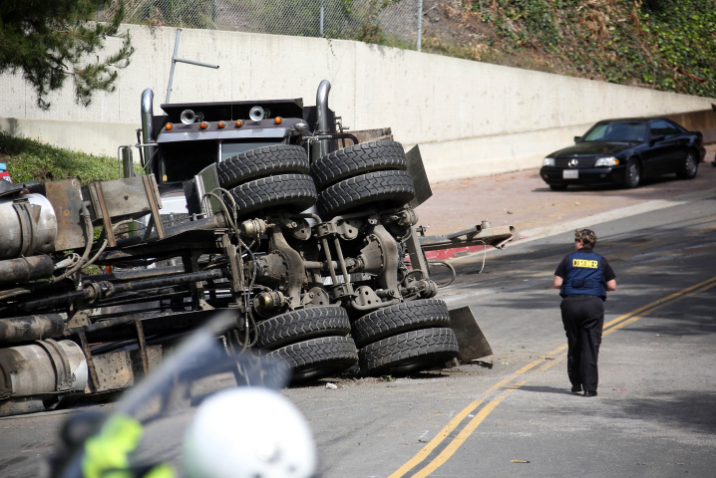 These improvements are being implemented for safety reasons, according to Caltrans. The closures will continue for an additional three non-consecutive weekends until August 26. Friday, July 26 from 10:00 p.m. to 5:00 a.m. Monday, July 29 two lanes will be closed on the westbound 60. Friday, August 9 from 10:00 p.m. to 5:00 a.m. Monday, August 12 three lanes will be closed on the eastbound 60. Friday, August 23, from 10:00 p.m. to 5:00 a.m. Monday, August 26 two lanes will be closed on the eastbound 60. Full freeway closures will occur during the above-mentioned weekends from 1:00 a.m. to 5:00 a.m. On Saturdays and Mondays. Assuming that everything, including weather, permits the closures, they are expected to occur at the planned times. Prepare your travels accordingly to avoid heavy traffic jams and detour routes. This entry was posted in Uncategorized and tagged 60 Freeway, Closures, Los Angeles, Pomona Freeway, Summer Slam, Traffic on July 13, 2013 by Bryan Nguyen.